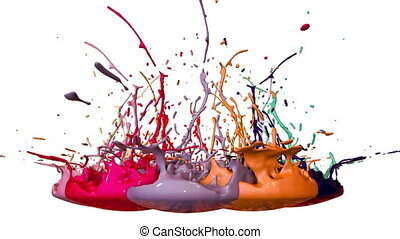 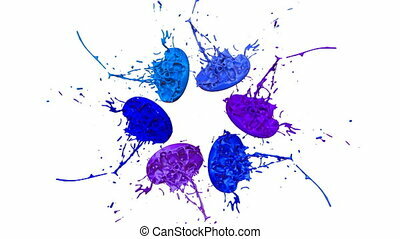 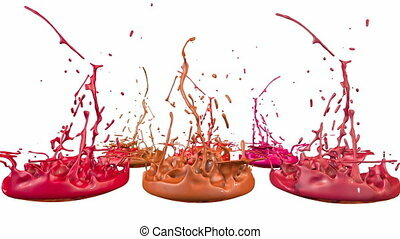 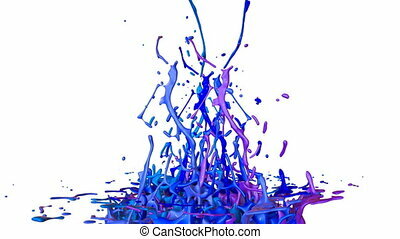 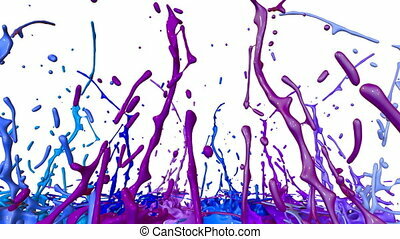 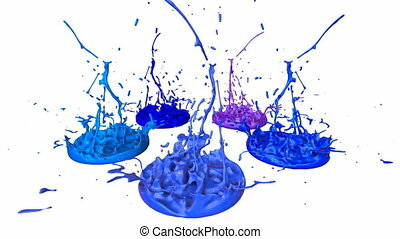 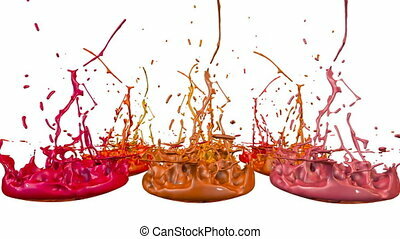 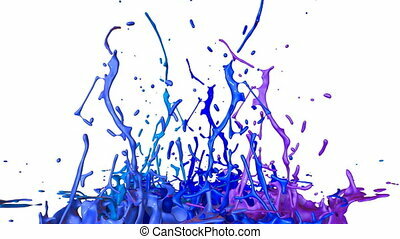 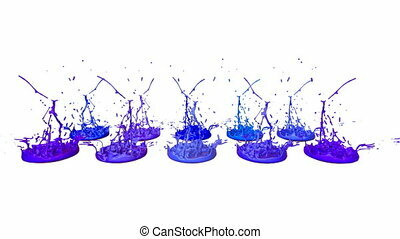 3d animation of paint splashes on a musical speaker that play music. 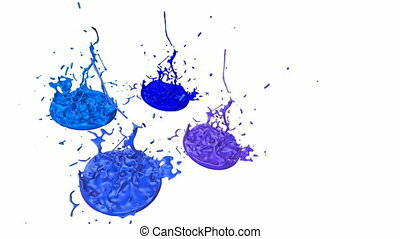 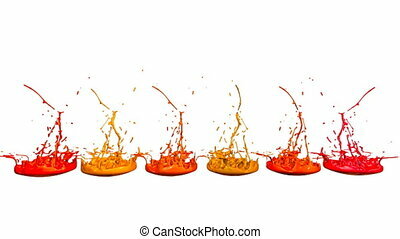 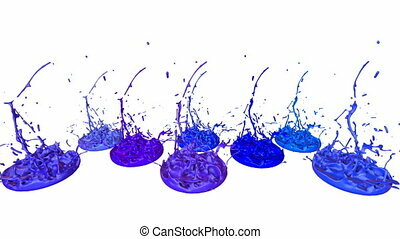 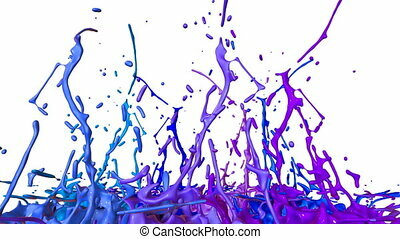 3d splashes of liquid. 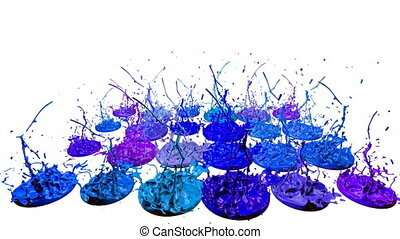 Paint bounce in 4k on white background.